The US is currently unable to repel an attack from the hypersonic weapons that are being developed by Russia and China, as they can pierce most missile defense systems, a recent US government report has revealed. “China and Russia are pursuing hypersonic weapons because their speed, altitude, and maneuverability may defeat most missile defense systems, and they may be used to improve long-range conventional and nuclear strike capabilities,” the report by the Government Accountability Office (GAO) reads. “Nobody has precise hypersonic weapons. Some plan to test theirs in 18 to 24 months. We have them in service already,” Putin said. In March Putin unveiled several advanced weapons systems, including the Avangard hypersonic glider warheads and the Kinzhal –or Dagger– hypersonic cruise missile. The Kinzhal can fly at Mach-10 speed and has a reported range of 2,000 km (1243 miles). 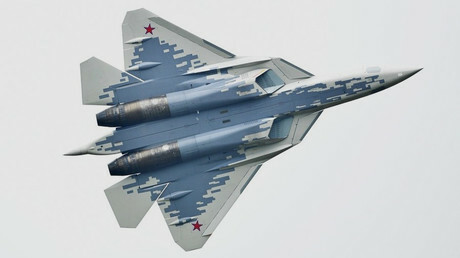 It was reported that Russia’s advanced Sukhoi Su-57 jet might soon be armed with a missile similar to the Kinzhal. While the Avangard is about to enter military service, the Kinzhal has already been deployed with the force. Faced with the unmatched hypersonic capabilities, the Pentagon has launched about a dozen programs to protect the US from hypersonic weapons. A project named ‘Glide Breaker’ to develop an interceptor capable of neutralizing incoming hypersonic gliders has been in the works with The Defense Advanced Research Projects Agency (DARPA).